Mauritius has been touted as a ‘cyber island’ for over a decade now, but what is the real situation? Kathryn Cave investigates. This island is not necessarily as you would imagine. Travelling through the harbour at Port Louis, the waterfront has been redeveloped into a modern Disneyesque mall complete with 170 boutiques, restaurants and other entertainment. Moving into Port Louis, which has been described as the wealthiest city in Africa, the snaking streets offer a blend of colonial architecture, local bazaars and sky scrapers. Yet following the M2 15km south, true tech modernity begins to set in. This is Ebene Cyber City, newly built in November 2001 and widely promoted as the ultimate link between the African and Asian markets. Ebene Cyber City is home to numerous global technology companies including Accenture, Infosys (which set up its first Disaster Recovery Centre here in 2002) and Huawei. On the ground, the market tends to be split between international companies which outsource to Mauritius and local consultancy or service firms, which operate on the island and are looking to expand into the pan African space. FRCI is just one of these companies and won extensive recognition as Microsoft Worldwide Partner Conference this July, most notably as “Country Partner of the Year 2013”. 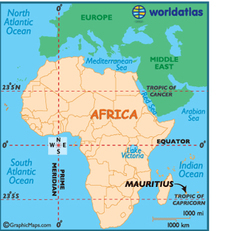 It is certainly true that Mauritius is very different from the rest of Africa. The country has experienced lasting political stability and socially it can be seen as leaps and bounds ahead of other more disadvantaged nations. At 74, the life expectancy is far higher than the continent average. So too is the median age of 33, which compares to 17 in Ethiopia, 19 in Kenya and 25 in South Africa. The World Bank has also consistently ranked Mauritius first in Africa in its ease of doing business report. And this year it came 19th in the world, putting it just ahead of Germany. Yet today connectivity appears to be causing some debate within the island. Official government stats published this June (to cover the period 2011 – 2012) show that the proportion of households with a computer at home rose from 29% to 44% (in this period), whilst the proportion of households with internet access rose from 29% to 39%. However, a forthright opinion piece published on yashvinblogs last September entitled, “The 7 ideas to make Mauritius a cyber-island!” told a different story, and saw guest writer A.A make a direct impassioned plea to any politicians reading. “Do steal my ideas please!” he wrote. “We have been hearing this concept of turning Mauritius into a cyber-island since a very long time now. Today, I am going to share my personal views on it, by proposing some ideas of how to make it become a reality.” Through the article he makes a range of practical suggestions to improve the IT landscape. These range from encouraging competition amongst ISPs, removing VAT on certain technologies, conducting more research into IT, providing better education, offering more incentives for international companies and ensuring the computerisation of government bodies. Many of the people I have spoken to on the ground have seconded concerns about broadband speeds. Yet this is a problem the world over. Earlier this week the BBC World Service ran a story on irked bands of gorilla Britain’s laying broadband cables with their bare hands in rural areas, due to slow speeds. Things can always be improved upon, this mostly comes down to expectation, but Mauritius definitely offers a far more sophisticated landscape than the majority of the African continent. Anil J B Tannoo, Sales Manager at Coroi Maurice Ltee describes how “free internet Wi-fi has been put in place in many public places. [And] There is a new trend amongst SMEs for the use of social networks like Facebook and Twitter”. 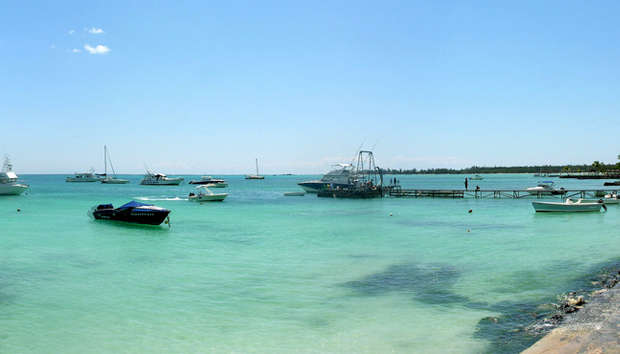 He also adds that social media is the “most effective” marketing tool in Mauritius. This is rare to say the least, for an African country. On top of all this, new initiatives are springing up all the time. The ICT Academy was launched this March bridge the gap between what people learn about technology and the skills they actually need to do a job. This is another common world problem which doesn’t go away. “Infotech Rodrigues” was held on 17th August with the aim of bringing greater awareness for emerging technologies to the outer island. While last year, Orange launched a cheap tablet in Mauritius that was the envy of the UK press. Mauritius may be a tiny dot on the Indian Ocean, famed for clear sands, sugar plantations and a wealth of brightly coloured fruits and flowers. But inside this 1860km2 space, international companies have been arriving and establishing outsourcing destinations for over a decade. But more interestingly, local Mauritian firms now have their eyes firmly trained West - beyond the hulking mass of Madagascar - and into the heart of Africa. Kathryn Cave is Editor at IDG Connect. Please drop over a note if you would like to share your experience of IT in Mauritius.